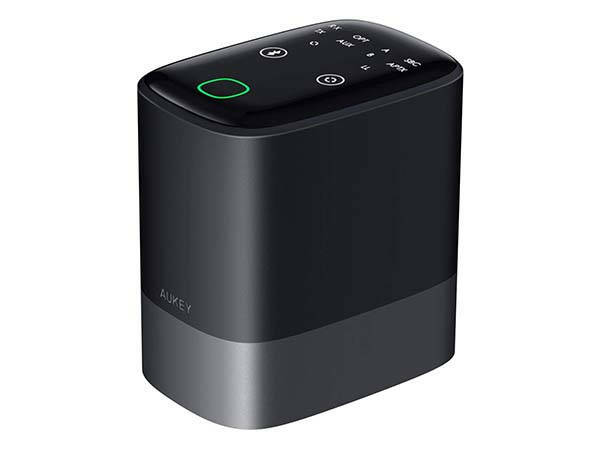 Aukey BR-O8 2-in-1 Bluetooth 5.0 audio adapter has been ready to provide you high-quality wireless audio transmit within a long range of 164ft. Like the idea? Let’s have a look. The BR-O8 is a well-designed and powerful Bluetooth 5.0 receiver and transmitter that measures 4.4 x 4.3 x 2.8 inches and weighs 1.17 pounds. As shown in the images, the device delivers a box-shaped design, and the rounded sides and discreet colors bring some minimal modern aesthetics onto any surface. The audio adapter features Bluetooth 5.0 technology in order to provide a stable wireless audio transmission within a connection range of 50m/164 ft. In transmitter mode, the Bluetooth adapter is capable of connecting with two wireless headphones simultaneously so that you can easily share music with your friend or family member. 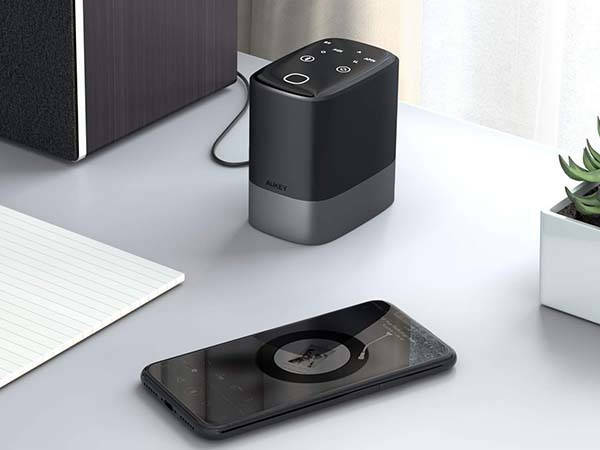 In receiver mode, it’s able to connect with two wired speakers, receiving audio from either one of two Bluetooth-enabled devices. Moreover, the bypass mode also it to work with two devices together via a pure cable connection. Built-in aptX technology allows it to stream higher quality wireless audio from aptX-enabled device. The BR-O8 2-in-1 Bluetooth 5.0 audio adapter is priced at $59.99 USD. If you’re interested, jump to the product page for its more details.